For a long time, the CW was known as the network full of beautiful people in high school, but now it’s more like the network of beautiful people in tights. At a Television Critics Association panel today, the network announced plans to expand its superhero offerings with a new animated series, Freedom Fighters: The Ray, on its CW Seed website. 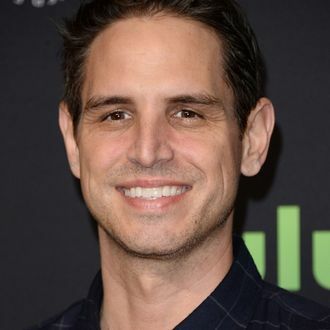 The series, from CW superhero super-producers Greg Berlanti and Marc Guggenheim, follows Raymond “Ray” Terrill, a reporter who becomes a superhero with light-based powers, known as the Ray. In addition to being not very creative with names, the Ray will be the first gay superhero to lead a TV show. The Ray joins Vixen, another animated superhero show, among the CW Seed’s offerings. The idea, as with Vixen, who’ll soon appear on Legends of Tomorrow, is to have the Ray join the CW’s live-action universe as well. In its presentation, the network said it is looking for an actor to both voice Ray in the Seed series and play him on TV. Let loose the casting notices for superhero-chested men!